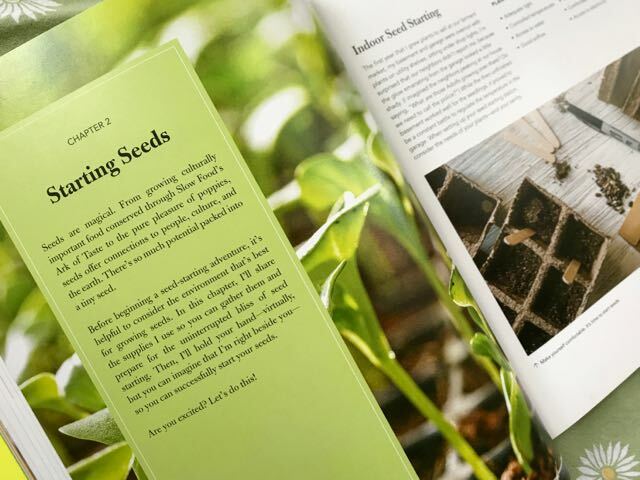 Any beginning gardener would happy to find either – or both – these books under the giving tree. But you don’t have to be a beginner to appreciate them. In the spirit of “the more you know, the more you know you don’t know,” this experienced gardener filled many gaps in her knowledge in reading them. 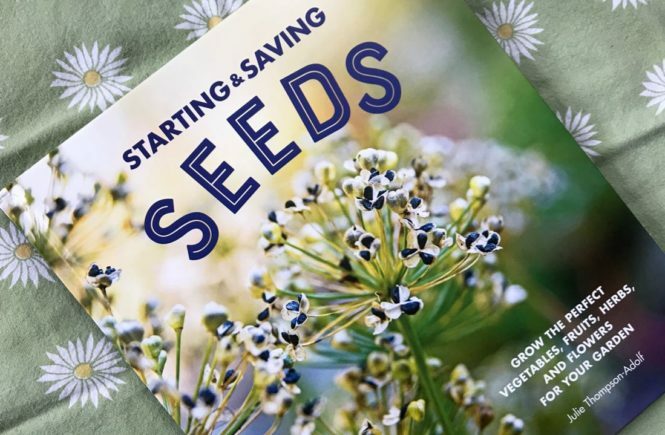 For example, in the recently released Starting & Saving Seeds: Grow the perfect vegetables, fruits, herbs, and flowers for your garden, Julie Thompson-Adolf gives a thorough explanation of the importance of fermenting seeds you harvest. Fermenting? What planet was I on when this topic was discussed? I am now an enlightened gardener. The short table of contents in Thompson-Adolf’s book disguises a wealth of info. My one wish would have been to flesh this out to direct us to specific instructions. The index in the back covers only plants. As you can see above, the first third of the book covers general how-tos while the rest is devoted to detailed plant-by-plant play-by-plays. Tomatoes, everyone’s favourite fregetable (the vegetable that’s really a fruit), gets a big section of its own. 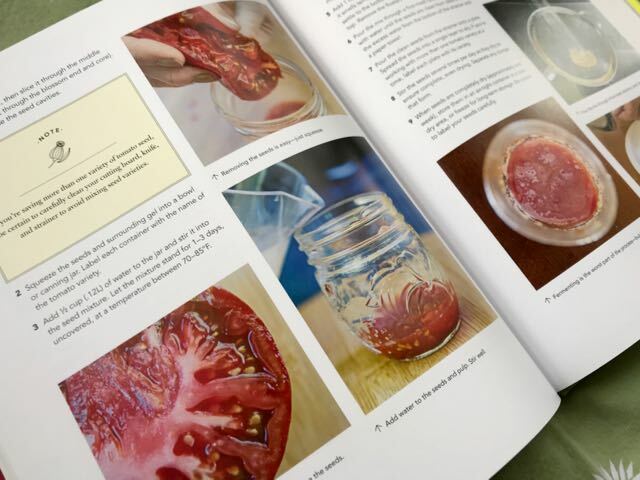 Sidebar features, like one on selecting the best tomatoes for your climate, are sprinkled throughout the book. Pictures in Thompson-Adolf’s how-tos are great for visual learners. Note call-outs contain tips or warnings you won’t want to miss. The author’s knowledge shows on every page, and so does her know-how about writing clear, easy-to-follow instructions and explanations. Beyond the basics, you’ll find projects like making DIY seed tape or instructions for winter-sowing. For a 160-page book, it’s quite comprehensive. Thompson-Adolf’s warmth, enthusiasm, encouragement shines through. Having met her, I know it’s genuine. One thing cold-climate gardeners will appreciate is that this South Carolina garden writer didn’t forget us. All but a scant few of the plants covered are suitable for gardens in Toronto (Canadian Zone 6/USDA Zone 5) and most of Canada’s gardens – and even those few might be fun to try for a year, or to baby indoors over winter. The Resources section even lists Canadian seed suppliers. Huzzah! I wish American authors would do this more often. Michelle Balz’s book was published at the end of 2017, but makes a great companion here. 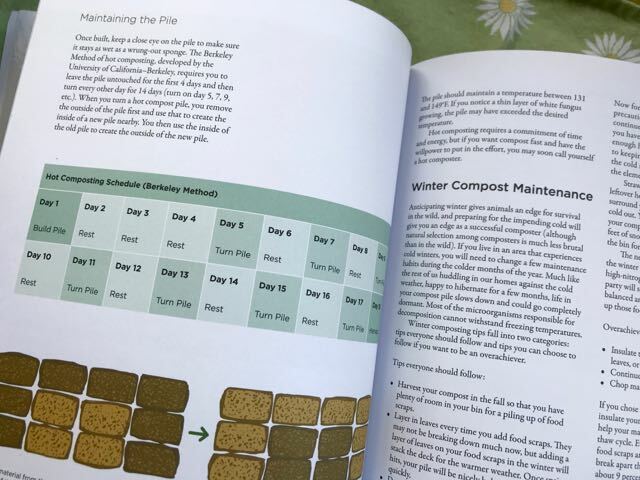 My go-to reference for composting has always been my 1992 edition of The Rodale Book of Composting: Easy methods for every gardener. 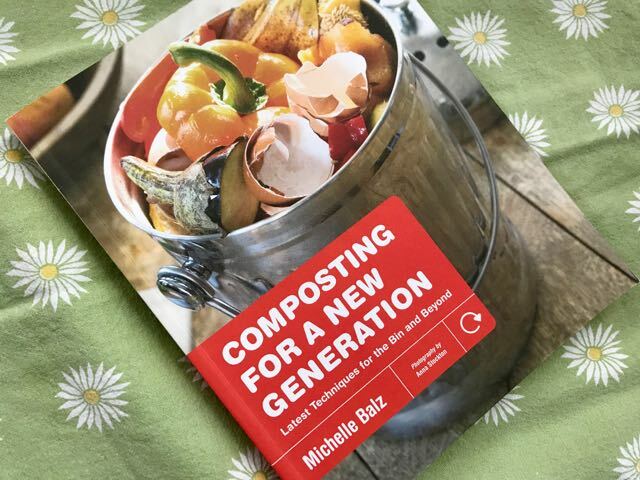 But Michelle Balz’s Composting for a New Generation: Latest techniques for the bin and beyond is a worthy successor or complement for anyone interested in turning garden and kitchen waste into black gold for the garden. For one thing, it does cover techniques like bokashi that weren’t on the radar in 1992. And for another, it’s jam-packed with explanatory photos. 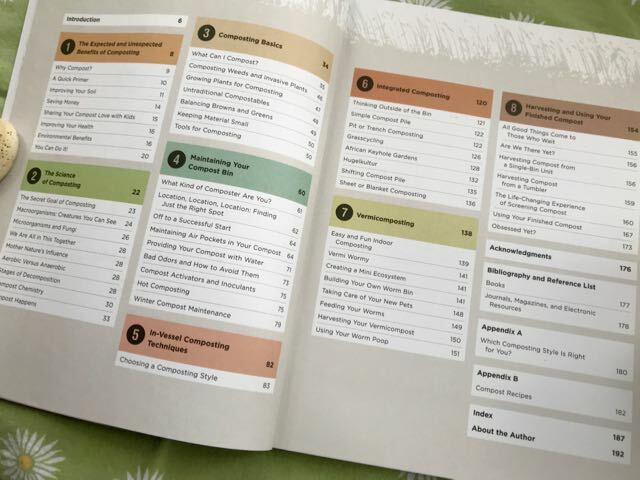 A glance at the contents shows just how much is packed into the book, and the index is a helpful wayfinder, too. In this info-graphic dense world, I think the older “wall of grey type” way of book design isn’t as palatable. The author and graphic designer here understand how we now like to read and absorb information. Info is often broken into useful at-a-glance tables. 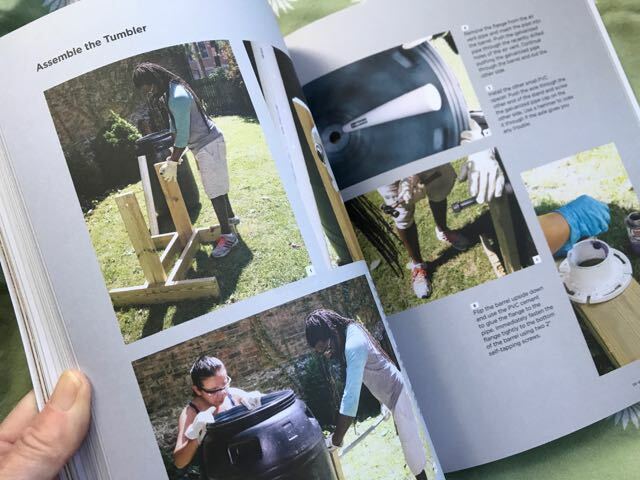 Would-be and even experienced composters can discover all about the science and practise of composting. And I can’t even count the number of step-by-step instructions for building your own devices or composting methods like hugelkultur beds or African keyhole gardens. Some of the projects look ambitious, but others are easy enough for beginners. 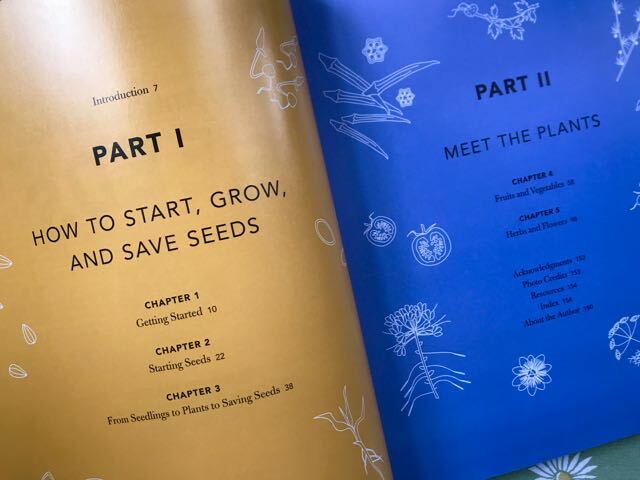 Both Starting & Saving Seeds and Composting for a New Generation are published by Cool Springs Press. In case Santa wants to know. Great review of Julie’s book. I follow her on IG and she has inspired me to grow more food from seeds. The book is great, I have been sharing it as a gift with my garden friends. I will check out the book on composting. I just read Julie’s book and share your enthusiasm. 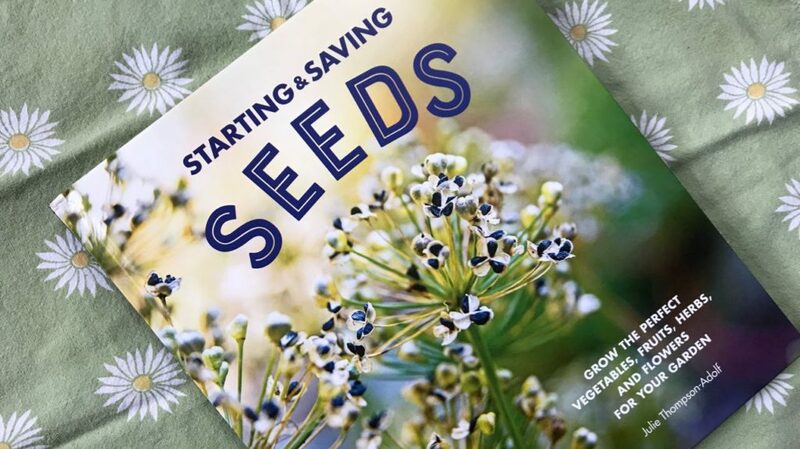 It’s a great book for someone who wants to start growing plants from seed.